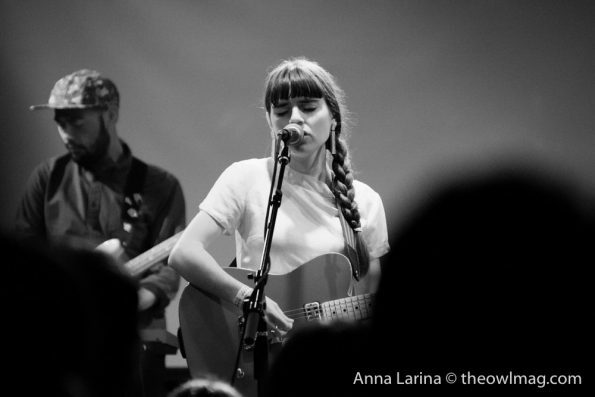 It’s an understatement to say that the vocals of Hazel English are dreamy. Instead of sending listeners to any nostalgic memory, English transports her audience into an atmosphere filled with roller coasters and merry-go-rounds. When instrumentation and vocals merge, her brand of indie pop snaps like both fireworks and pop rocks (“I’m Fine”, “Make It Better”). The essence of her music treats wounds like a band-aid, one that brings you back to an addiction you can’t escape: love (“Never Going Home”). This Oakland-based act is the treat your ears have been waiting for. Check out her debut EP Never Going Home out now.